antioxidants that appear to interfere with and reduce the spread of certain types of cancer cells. powerful than that of vitamin C or E.
anti-cancer,anti-allergy, prevention of colds and prevent fractures. PG and VE,VC and so on. dental caries,dental plaque, periodontitis, and bad breath and so on. 4.In agriculture, esed as groeth hormone and unique pesticides. Packing: 25kg/fiber drum OR 1kg/ aluminum foil bag OR as per your request. 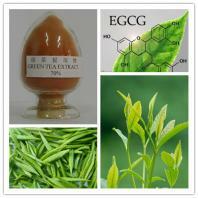 Our company is specialized exporter, manufacturer and supplier of Green Tea Extract in China.